Updated: An escalating trade war between the United States and China is hitting the plastics sector with Chinese officials announcing tariffs on 106 U.S. products, including plastics, and the U.S. targeting machinery and molds. Both nations are eyeing a rate of 25 percent. Final numbers and the effective dates of the new tariffs have not been finalized. The list of U.S. plastics products targeted by China include numerous resins and finished products. Plastics industry officials were scrambling to react to the news in the first hours after the two countries’ announcements. By the afternoon of April 4, Plastics Industry Association President and CEO Bill Carteaux urged officials to “reconsider” their actions. Carteaux expressed confidence in the plastics industry’s ability to withstand anxieties in the global market, but the threats threaten to “disrupt the supply chains of companies large and small if they take effect. “Before these tariffs take effect, we urge both countries to reconsider taking yet another step in the wrong direction with their economic policies, and urge both nations to come together to find real solutions that benefit all companies and consumers,” he said. 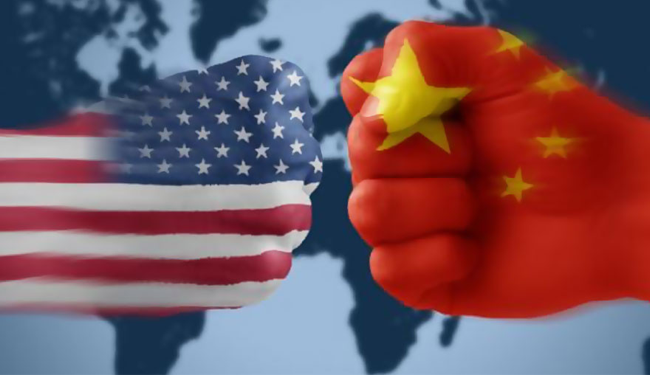 “We strongly urge both the U.S. and Chinese governments to work together to come to a satisfactory and mutually beneficial decision before this situation escalates further,” he added. China is one of the U.S. chemical industry’s most important trading partners, importing 11 percent, or $3.2 billion, of all U.S. plastic resins in 2017, according to ACC. Dooley said ACC officials “are particularly concerned” that 40 percent of the products to which China has assigned new tariffs are chemicals, including polyethylene, PVC, polycarbonates, acrylates, and others. “Plastic resins are one of the few areas where we have a meaningful merchandise trade surplus,” he added. “We’re hopeful that the end result of these trade tensions will be a free, fair playing field for all industries, and not a trade war. The United States kicked off the trade war on March 1 when it announced tariffs on Chinese steel and aluminum. The U.S. has since announced tariffs on additional products. China now has taken that step twice. The proposed U.S. tariffs cover a massive list of industrial products, including injection molding machines, extruders, blow molding machines and thermoforming equipment. Bill Duff, general manager of sales and marketing of Yizumi-HPM Corp. — which sells machines made in China by Guangdong Yizumi Precision Machinery Co. Ltd. — said the parent company did not give any immediate communication. Yizumi-HPM imports machines from Guangdong Yizumi in China, built to its specifications for U.S. customers. The cost of the Trump administration’s tariffs is going to be passed onto the consumer—resulting in higher prices, he said. “So, that means increased prices on all equipment that we sell: die casting, injection molding, metalworking presses. They’ve all been slated for this 25 percent tariff, so that really [results] into higher prices for our customers,” Duff said. Tariffs on Chinese industrial goods will have a broad impact across the entire capital machinery sector, plastics and otherwise. Many plastics machinery manufacturers in the United States, Europe and Asia build some machines in China, and nearly all of them buy some Chinese-made components. The 58-page list of U.S. tariffs on Chinese-made products covers nearly every imaginable type of machine and component, including machine tools, steel and aluminum, molds, machine bases and platens, screws, motors, pumps, dryers, printing equipment, and testing instruments. Glenn Frohring, president of Absolute Haitian Machinery Corp., said so many companies produce equipment in China that the impact will be large. Absolute Haitian gets its machinery from Haitian International Holdings Ltd. in China. Haitian, as a giant maker of machinery, “also is in a position to be the most flexible and creative when it comes to selling equipment into the U.S. market,” Frohring said. Duff of Yizumi-HPM said it would be better for business if the United States and China can back away from the tariffs. • Reaction initiators, accelerators not elsewhere specified. • Polyethylene with a primary shape specific gravity of less than 0.94. • Primary shaped epoxy resin. • Polyethylene terephthalate plate film foil strips. • Other self-adhesive plastic plates, sheets, films and other materials. • Other plastic non-foam plastic sheets. • Other primary vinyl polymers . • Other ethylene-alpha-olefin copolymers, specific gravity less than 0.94. • Other primary shapes of acrylic polymers. • Other primary shapes of pure PVC. • Polysiloxane in primary shape. • Other primary polysulphides, polysulfones and other tariff numbers as set forth in note 3 to chapter 39 are not listed. • Plastic plates, sheets, films, foils and strips, not elsewhere specified. • Adhesives based on other rubber or plastics. • Aromatic nylons and their copolymers. • Semi-aromatic nylons and their copolymers. • Other nylons of primary shape. • Other vinyl polymer plates, sheets, strips. Other plastics industry representatives were studying the list on April 4 and weighing a reaction.